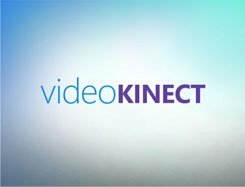 Along with the announcement of Kinect for Xbox 360 (formally known as ‘Project Natal’), Microsoft yesterday unveiled Xbox LIVE Video Kinect that lets you chat with other Xbox 360 users, and, in the near future, with hundreds of millions of PC users around the world. There are already more digital delivery devices connected to HDTVs in US homes than Blu-ray players, thanks largely to the Xbox 360 and the likes of TiVo, Roku, AppleTV and Vudu. Yet despite the numerical supremacy of players capable of streaming HD content, digital downloads are not expected to be a serious competitor to the Blu-ray format anytime soon. Microsoft has just unveiled what it describes as a revolutionary new way to play Xbox 360 video games on HDTVs without the need for a controller. Called Project Natal, the sensor, which combines an RGB camera, depth sensor, multi-array microphone and custom processor in one device, could have uses far beyond just gaming. Sony has no intention of releasing a PS3 without a Blu-ray drive. The suggestion that the Japanese company would ditch the high-def format was scotched by Sony’s marketing manager Kim Nguyen. Sony is planning on creating a hybrid Blu-ray – with a game and movie on the same disc. The move is being viewed as a way to boost the appeal of the Playstation 3 in the face of falling prices for Blu-ray players and the increasing popularity of games consoles such as Wii and XBOX 360. How will Xbox's streaming HD Fare Against PS3's Blu-ray? For a while now, Sony’s PS3 has done very well out of being the best Blu-ray player in its price range – oh, and you can play games with it too. So it will be interesting to see how it fares now that Microsoft’s Xbox is offering US users streaming HD content from Netflix. That, and the fact that Blu-ray player prices generally are falling, may have some impact on the Sony console. When Will Wii Go HD? Nintendo’s lead game designer, Shigeru Miyamoto, has been making comments that suggest Wii could go HD sometime soon. The ability to support true next-gen graphics on HDTVs is one area the Wii falls down on compared to competitors Xbox 360 or PlayStation 3. Sony has signed up the major studios, including Fox, Disney and Warner, to offer HD movies on its US download service. The downloads can be transferred from the console to the Play Station Portable handheld device. This latest development follows Microsoft’s announcement that it will add a NetFlix movie streaming service to its XBox 360 video game console. The continuing rivalry between the console makers is good news for consumers. Sony’s Play Station 3, with its integrated Blu-ray disc (BD) player, has given many millions of consumers their first taste of the high definition format. But hopes that the makers of the video game console would give Blu-ray a further boost have been dashed by Sony Chairman Howard Stringer. The Sony chief claims Microsoft’s decision to cut the price of its Xbox 360 by US$50 is evidence that it’s falling behind the PS3 in overall sales.